At Kasper Electric, our residential electricians are licensed, experienced and reliable. We’ve been providing five-star commercial electrical service to South Florida businesses since 1978. At Kasper Electrical, we provide comprehensive marine electric and marine electronic solutions. In 1978 Leonard Kasper set out to build a trustworthy, reliable, electrical service company in Jupiter, FL., committed to excellence and keeping the customer first. Over the past 40 years Kasper Electric has grown to become the leading electrical service company of South Florida and our commitment to excellence has not wavered. Since the early days we’ve expanded our electrical family. We now serve multiple counties across South Florida including Palm Beach, Martin, Treasure Coast, St. Lucie, Broward and Dade County. 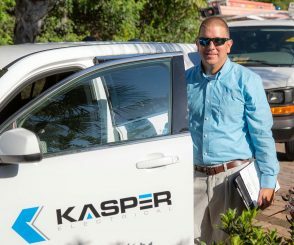 At the heart of Kasper Electric, you’ll find a talented team of people committed to exceeding your electrical service expectations. 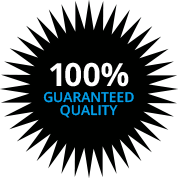 We’ve worked diligently to become the highest rated electricians in West Palm Beach with the most five-star ratings. We take the term family business seriously. Kasper Electric is a multi-generational business legacy. Our founder, Leonard Kasper spent over a decade preparing his son, Justin Kasper, to take the helm and lead Kasper Electric forward in its growth and expansion. Since then, Justin, President, and his sister, Cassie Kasper, Vice President, are driving the company forward, leading the entire team in bringing solutions to light for South Florida. Our solutions include residential, commercial and marine services. We’re committed to making electrical easier for your home, business and boat. Our mission is to improve the quality of lives of the families we employ and the customers we serve through providing excellence in everything we do, growing in the areas that matter and always doing unto others as we would have them do unto us. We're a quality of life company. We’re committed to making electrical services a whole lot easier with convenient scheduling, excellent service and cost-saving specials. 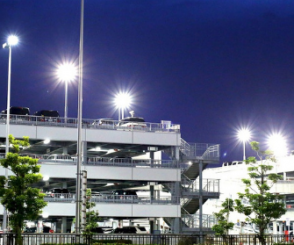 On March 26-27, 2019, Steve Perez was assigned to the GSA Miramar Facility to change lights and ballast. He was very organize, proficient and professional. Mr. Perez was honest and made a positive impact on how he represented his company. I recommend Kasper Electric to a you and your family. Had Jimmy out to do some minor repairs and install a Ring doorbell system. 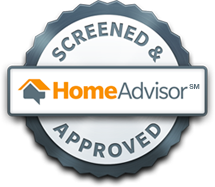 He was very knowledgeable, friendly and efficient and we couldn't be more pleased with Kasper and their whole team. We will continue to refer them to friends and family for their electrical needs. Steve Perez is a thorough and highly competent electrician who works for Kasper Electric of Lake Park and Miramar, FL, and made repairs and upgrades today at our home. Steve explained what the problems were with the electric connections in the house, answered questions and made the repairs. 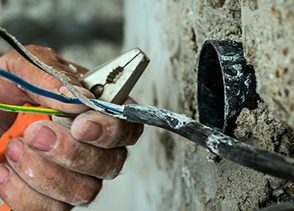 Bilingual and personable, I would recommend Steve and Kasper Electric for minor to complex residential electrical repairs and installation services. We will ask them to make a service call again should we need them in the future. I selected Kasper Electric based on the numerous positive reviews that they had received on Google and it turns out that they were deserved. Jimmy came to the house when scheduled and took care of my projects professionally and skillfully. I wouldn't hesitate to use them again and will definitely recommend Kasper Electric if ever asked for the name of an electrician. Steve Perez arrived right on time, was very knowledgeable and cleaned up before he left. We were very impressed with his work and will definitely be calling for future service to our home. It is peace of mind knowing you are dealing with a company that really cares about its customers and it shows in the service they provide. Everything from the initial call to the setting an appointment to the completion of the job was a 10! Kasper Electric is a company I would highly recommend to everyone I know. Steve Perez is very professional, knowledgeable, hard working, and went above and beyond in service. Thank you for your outstanding service! Steve P is AWESOME!! This job had unforeseen obstacles and he tackled every one successfully and with a great attitude. Very friendly and knowledgeable and I highly recommend him and Kasper Electric. Everyone has been very nice to work with!! Had an issue with a breaker. 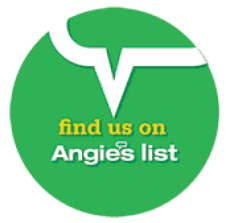 Jimmy Wagner showed up timely, was extremely professional and diagnosed and corrected the problem within minutes. We have used Kasper before for our commercial buildings and always had a great experience. We would highly recommend them. Jimmy Wagner did a great job. He came upon a complex situation when installing my outdoor carriage lights but he came up with several options, explaining the benefits of each and the complexities of each. I chose the option and he did an excellent job installing the lights. They look fantastic. And I really appreciate how he cleaned everything up. It was like he was never here. I've used Kasper many times and I've never been disappointed. I've also referred them on several occasions without any reservations. Your technician, Frank, is a total class act! Thank you Kasper Electric! Professional, competent, excellent workmanship, takes pride in his work, a total perfectionist who doesn't stop until the job is done right. You could not ask for a better representative for your business! Steve Perez was just wonderful. Quick, professional and friendly. He looked for the best way to fix my issue, not the most expensive. You know when someone is being honest with you and I can say, without a shadow of a doubt, that this is one reliable and honest company. On Monday (12/10/18) morning I asked Siri to search for an electrician near me. He/she/it reccomended a couple near by, so by chance, I selected Kasper Electric in Palm Beach Gardens, Florida. So happy that I did. Michelle took my call, she was very delightful and helpful in every way. By 1pm the next day Steve P., their electrician was at my door. His truck had great looking graphics and he was dressed very professionally. So I already had a very good feeling about their company. I had an antique chandelier that I wanted hung in the kitchen over the dinning room table. He assessed the situation in minutes and was ready to go, that's when I told him I had to leave by 4:30. He said "no problem" and got right to work. Throughout the process he was very informative about everything. Once he had the location measured out, he asked for my approval which was very much appreciated. By 4pm he was done with everything including a really great clean up job. The installation was absolutely perfect and the light looks amazing. Especially since it was a surprise Christmas present for my wife, I could not have been happier, nor could she when she got home from work to see it. She was thrilled.I highly recommend Kasper Electric Company. My experience with them was very much appreciated in every way. In fact, I called them again today to schedule Steve P. to come back next week for another project!!! Joe Redinger was our electrician, hired to replace our chandelier with a new one. Joe did excellent work, assembling the chandelier, hanging it at the correct height, and testing to be sure all 6 bulbs worked properly. We would be happy to have Joe do our next project when we have it, and would recommend him. We were in need of an electrician and Kasper Electric was able to come to us with only a day or two notice. Joe Redinger was our technician: Joe was friendly and efficient and there was no task too little or too big. We'll be using Kasper in the future and I would recommend their services. I called in need of service yesterday and Bill S. was able to get to me today. Not an easy task given I'm in hurricane ravaged Panama City. Bill was professional, polite, and courteous. The Customer Service reps were also above reproach. I received my work invoice for immediately after speaking to CS. If I lived in Kaspers service area... I know who I'd used. Thank you all for coming up to help get peoples lives back to normal. Dear Kasper,I have been meaning for the longest time to thank you for your service. Your electrician solved my problems completely. In very little time at all, he metered my incoming current and found I had lost a ground. He was sure that was the source of my problem and he was right. I called FPL who sent out a truck the next day. The power lines had been overgrown by oak trees and palms. They fixed the problem and I haven’t had a flicker since. Other electricians estimated around $800 for the job and never even mentioned this as a possibility. I cannot thank you enough! I want to say how wonderful and professional Kasper Electric was in the service they provided to Oceanview United Methodist Church here in Juno Beach Florida. There professionalism from Peggy the scheduler to Steve in the office was spectacular. The electrician Frank Lomas they sent to us was nothing less than outstanding. His ability to work out our Sanctuary lighting problems along with upgrading our outdated system to newer lighting codes was exceptional. His friendly supportive manner was refreshing and the final product was perfect in all aspects, exceeding our expectations. When the job took more hardware and time than expected to complete, we contacted Steve and understood that the initial bid might be adjusted, his response was "We stand by our bids so the initial cost remains the same". This business philosophy is sorely missing in today's commercial support world. We here at Oceanview would immediately recommend Kasper Electric to anyone needing excellent electrical support. Well done Kasper Electric... Well done. I had the pleasure to meet Frank, electrician, for Kasper on today at the Social Security Administration on Clematis in West Palm Beach, Fl. Frank was professional, meticulous, nice and so neat! He was very knowledgeable and did not mind sharing his knowledge! The world need more techs like Frank! Professional and timely, Joey and Jason are a great team and have gone above and beyond for us. Great office suppport by Jen as well. Highly recommended! Awesome company! I needed two new bathroom vanity lights installed as well as new outlets put in multiple rooms of the house. Bill, our electrician, came and did all the work quick and taught us a lot in the process. He was friendly, on time, and did clean work. I would highly recommend this company and personally ask for Bill! Today, I had (2) fine gentlemen from Kasper Electrical come to my home to upgrade my 100 amp electrical service. Bill & Joey showed up on time , had all necessary materials & tools to proceed with service change. Power was secured shortly after 9AM, (4) new copper feed cables had to thru PVC Conduit under the slab, replaced compromised Aluminum cables from original construction, then cut out drywall to fit in new Homeline Square-D Panel, then making all connections to the new circuit breakers, it all well swimmingly smooth, and my power was back on by 12:30 PM they rang all circuits out and labeled accordingly, did a thorough clean up and were outta there shortly 1:30pm. I could'nt be happier. I would recommend this company, Kasper Electrical to all who need any electrical work in there home. top shelf in my book, "thumbs up" to a job well done !......Regards Mike D.
I’ve used this company before a couple of times, but this by far was the most professional service given, by Joe. Joe doesn’t work slow or waste time, he gets right on the ball and works right on through. 👏👏👍 I recommend not only this company but Joe, as well! Joey the electrician was beyond superb. This company was a pleasure to deal with. We will definitely be usi g it again. So happy with Kasper. Bill and Joey were fantastic. They were quiet in my house, they worked very quickly, were clean and finished everything on our list in one day, and we had a LONG list. They solved problems easily that no other electrician had been able to figure out in 3 years. Moving forward Kasper is the ONLY electrical company I will ever use. I would highly recommend this company to all my friends and family. They were friendly, professional, honest, and punctual. Bill was able to figure out the problem and fix it quickly, which kept the cost down. Thank you Kasper electric!!!! I am a first time home buyer. I was fortunate and blessed to own new construction, unfortunately I purchased it at a point where everything was done so I wasn't able to be apart of the customization process. I wanted to make some changes minor at first and then later some major installs. I was very nervous looking at contracting a company to do it for natural reasons. Kasper electrical at first was kind of shaky with the communications at the beginning just to be able to get a quote. Once I was able to get that squared away with them everything from that point on made up for that issue. Jim and Joey was great, they made sure they understood my vision on what I wanted accomplished and stayed in constant communications to ensure I was happy. End result the job was done great and the added bonus they set me up so that future jobs will be done a lot easier saving me time and money (because contractors are paid by the hour) in the future.